Everybody’s working for the weekend. Now that it’s finally here, there is no need to drop all of your hard earned cash on apps for your favorite mobile device. 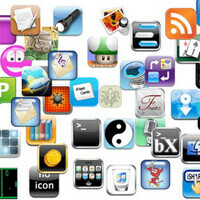 Here is a look at a few apps that are on sale to maximize your dollar. 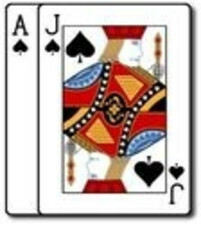 The Amazon App Store has Casino Blackjack Pro for free. This special is for today only. The game normally retails for $0.99. For those looking for added security, Loky PLUS is a great solution. Loky PLUS keeps your text messages and calls with specified contacts hidden and secure. It can handle all inbound and outbound communication and also features the ability to scrub your call log. Finally, Loky PLUS can store files, pictures, or any other sensitive content on your device that needs extra protection. 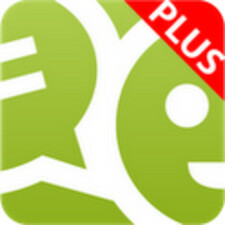 This app normally retails for $16.99, but, right now, the GetJar app store has it for free! If your allegiance is only to the official Android Market, you’re in luck. Max MP’s Poweramp Music Player for Android is on sale for $1.99. The developer states that this is the only sale they are doing this year. The price goes back up to $4.99 tomorrow. In order to take advantage of this deal, you have to install the free trial of Poweramp Music Player first. You can grab that here. W.E.L.D.E.R. by Ayopa Games is just $0.99. W.E.L.D.E.R. is a world puzzle game that was created by former Rockstar NY developers and has received tons of accolades since its release. W.E.L.D.E.R. is designed for both iPhone and iPad. Based on the hit PlayStation franchise, Activision’s Crash Bandicoot Nitro Kart 2 is just $0.99. It is the sequel to Crash Bandicoot Nitro Kart 3D. This game features 10 characters, 12 tracks, a variety of weapons and power-ups, and a multiplayer mode that supports up to 4 racers. Jellyoasis’ Elf Defense is 66% off at only $0.99. This entry in the tower defense genre features a variety of units, over 100 enemy types, adjustable difficulty settings, and, best of all, is optimized for retina displays, make it treat to look at. For hipsters and old school aficionados alike, Nexcio’s 8mm Vintage Camera transforms your iOS device’s camera into an old fashion 8mm camera. The app features 7 lenses, 8 types of film from different eras, jitter effect, and projector sounds. The app can apply the effects live or post process previously saved videos. For a limited time 8mm Vintage Camera is half price at just $0.99. The winner of the App Store Rewind 2011’s best iPhone and iPad Utility, Living Earth HD – World Clock and Weather, is also 50% off. For just $0.99 you get a stunning app that features a world clock, weather, and alarm for iPhone and iPad. It displays a realistic 3D simulation of Earth in real time utilizing real world satellite data. 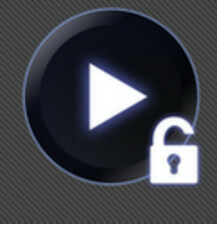 Already purchased the "Unlocker" for PowerAmp Music Player. Android Market FTW!! PowerAmp is simply the best.. i didn't regret paying the full amount for it.. and for those who haven't, this sale is your best opportunity!